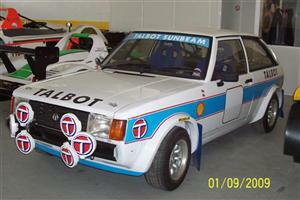 Talbot Lotus Sunbeam with specification Gr.2, 190cv, Bilstein, wheels 13, hidraulic hand brake, ZF with autoblocant, carbs dellorto 45. Registered and approved in the historical rallies in England. good price!!! !